Welcome to Benny Industries. Manufacturer & Exporter of Machinery for the Construction Industry. An ISO 9001:2000 accredited company, established in the year 2005. State-of-the-artmanufacturing unit & International quality standards help us to achieve a present reputein the market. Precision engineered machinery, In-house design unit & ethical business practicesmake us the first choice of our clients. We offer a splendid range of Concrete Block, Mixer, Fly Ash Brick & ConstructionMachines. Our Concrete block Machines are best in the industry amongst others. Construction Equipments, Panmix Machine and Tile Mixer are available under MixerMachines. Fly Ash Brick Machines offered by us are well known for their functionality. We are specialized in offering Hydraulic Pallet Trolley, Semi - Automatic HydraulicPress & Concrete Planetary Machines. Along with that we offer Vibro Forming, Color Mixture & Base Mixture Designer VibroForming Machines. To know more about us, please visit our website-. 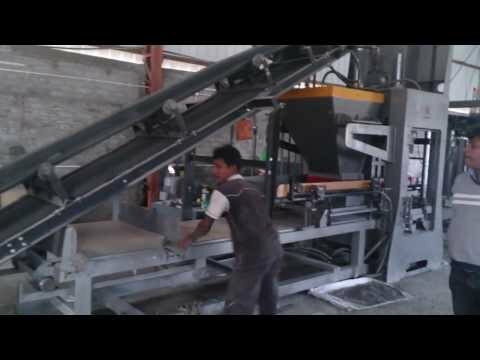 Welcome to Benny Enterprise, We are the supplier of Automatic Fly Ash Bricks Making Machines. We have a launched a new model: ABMH - 8SP ULTRA & SPDX ULTRA PALLET TYPE WITH AUTO STACKER SYSTEM.